I don't use these every day as obviously £3.99 is a lot and you do only get 25 wipes in each package, so I will use cheaper wipes and I will use just Micellar water with a cotton pad most of the time. 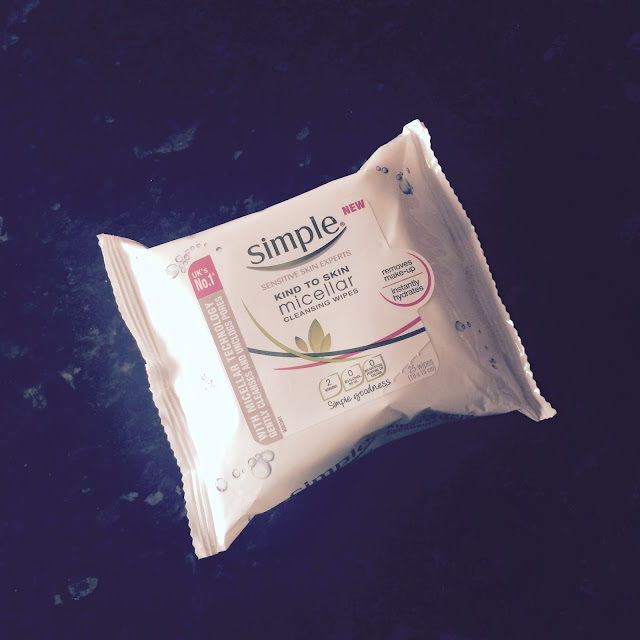 These wipes remove make-up so easily and they do make my skin feel hydrated. Sometimes, facial wipes can make my skin red and they can irritate me because I do have sensitive skin. Even though these do say that they are for people with sensitive skin, and they are so good for my skin and they do not irritate me at all. I also find that with some facial wipes, they can actually be quite dry and they don't actually remove any make-up or help with my pores, whereas these are just amazing and they feel really moisturised. I would definitely suggest buying them. Obviously if you do suffer with sensitive skin, and it's really bad, you will want to just try them out on a part of your skin just to make sure that you don't have a reaction to it. I use these wipes more in the evening to remove all my make-up because I don't like sleeping in make-up. And I know that these wipes are going to remove all of my make-up and they even remove waterproof eyeliner and mascara.